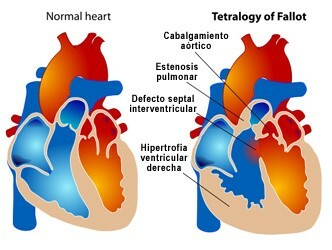 Congenital heart defects are the most common group of birth defects, occurring in approximately <?xml:namespace prefix = st1 ns = "urn:schemas-microsoft-com:office:smarttags" />8 in 1,000 live births. Excluding bicuspid aortic valves, the majority of untreated patients born with congenital heart disease die in infancy or childhood, and only 15–25% survive into adulthood. Advances in prenatal diagnosis, interventional cardiology, pediatric cardiac surgery, anesthesia, and critical care have resulted in survival of approximately 90% of these children to adulthood. Now, for the first time in history, estimates suggest that more adults than children are living with congenital heart disease (CHD) in the United States. Many of these patients will require additional palliative or curative cardiac surgery and noncardiac surgery at some time during adulthood. Adults with CHD demonstrate specific and complex anatomy and physiology. Perioperative morbidity and mortality are increased in adults with repaired or palliated CHD; however, no major study focusing on this topic has been performed. Few guidelines are available to direct the management of these challenging patients. Nevertheless, a task force of the American College of Cardiology recommended that adult patients with moderate to severe CHD undergoing noncardiac surgery should be referred to an adult CHD center to obtain appropriate consultation with expert cardiologists and anesthesiologists. · Reflejo de Bezold-Jarisch. ¿Reflejo protector o dañino?